Excellent condition. Very comfortable casual. 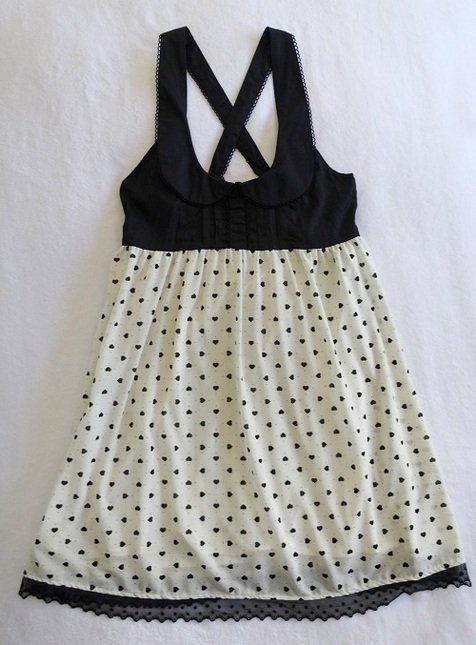 Polkadot and heart pattern. Full back shirring. If you would like a closer look at the dress, please click on the profile image to get a large display pop up. I copied that from the Lolibrary measurements, looking at it now I think it is length. 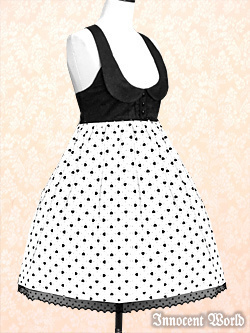 This has full back shirring so it is very flexible, as it drop from the underbust the waist on this is pretty much free. I'm confused by the waist measurement, can you please explain?